Low Power embedded Pentium M 1.4 GHz with 2MB L2 Cache, ECC DDR RAM memory socket, 3D Graphic (DVI-I), 2x USB 2.0, 2x RS232, 1x Gigabit Ethernet (no PC/104 expansion and Firewire). 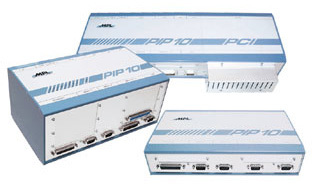 For deployment in harsh environments, the PIP10 can be ordered in an extended temperature version. Every system needs to pass various tests in a environmental chamber to prove that it will perform flawless over the temperature range indicated.